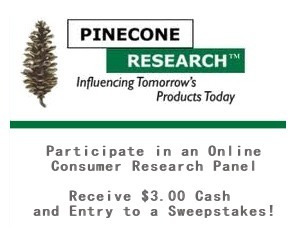 Home / Freebies / Free Stuff Online / Survey Companies / Pinecone Looking for Hispanic Members, 18-25 Age Range & More! Pinecone Looking for Hispanic Members, 18-25 Age Range & More! Looking for a Survey Company? Pinecone Looking for Hispanic Members, Members in the 18-25 Age Range (Apply Here) and more (Everyone Else Apply Here)! Pinecone is very picky about who they select because of the great products they work with. If you don’t get selected right away, keep checking back! Survey companies are such a great way to earn a little extra money from home. Save up for something special, like a vacation you might not otherwise get, or start saving for holiday shopping! If you aren’t Hispanic there are a few other options, they are also looking for Members in the 18-25 Age Range (Apply Here) Or If you’re not in one of those Groups you can Still Apply Here to See if you Qualify!